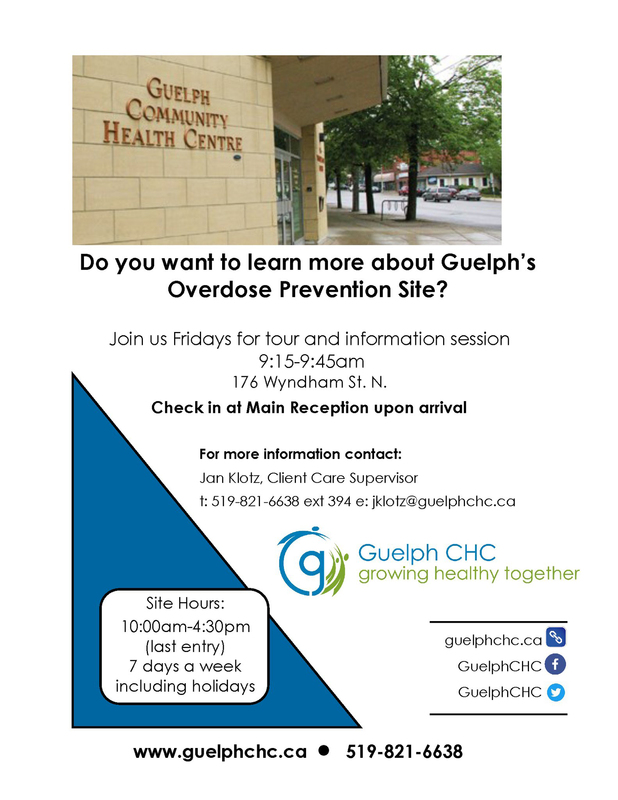 Do you want to learn more about Guelph’s Overdose Prevention Site? Join us at the Guelph Community Health Centre each Friday for a tour and information session. Check in at Main Reception upon arrival. For contact and tour information, CLICK HERE!